Though the tax law is essentially a part of the administrative law, its importance for life and the successful operation of the business is the most significant. Unfortunately, in Ukraine, the majority of tax audits end with penalties and additional assessments, which, in most cases, are totally unfounded and imposed with violation of the law. UNITED Law Company, due to years of experience in supporting and protecting our clients during audit and, if necessary, appealing their results, always achieves positive results. Along with the support and protection of companies in the course of audits, a lot of attention is paid to tax planning of the business. Bringing the tax accounting and accounting of business in line with modern requirements of the tax law and judicial practice, tax audit and Due Diligence together with financial services of the Customers, enables to avoid future tax problems, as well as unnecessary tax expenditures. Currently, this category of disputes is the most extensive among all the disputes arising from public relations considered by the administrative courts. In fact, the tax dispute arises from the moment the company learns the order for a tax audit. Lack of definition of the tax law and different interpretations by the tax authorities create difficult situations for the taxpayer, in which it cannot take any action without consulting a lawyer from learning the order and to obtaining a positive administrative or judicial decision. Practice shows that the consideration by the courts of tax disputes that are often caused by the unlawful actions (inaction) of tax authorities, resulting in rendering unreasoned decisions in relation to the taxpayer, reluctance of the tax authorities’ officers to understand the arising disputes, and just implementation of the plan for the additional assessment of taxes and the budget revenues. 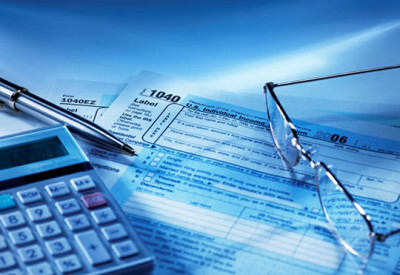 By addressing us, you should be aware that the outcome of a tax dispute directly depends on who and how defends the taxpayer’s rights from the beginning of the audit and to receiving an administrative or judicial decision on the cancellation of the tax decision. The key to success in resolving a dispute are undoubtedly our skills, good knowledge of tax and procedure law, and extensive experience in the tax dispute resolution. Tax planning – is a set of financial measures to optimize the tax base and minimize the tax deductions. Tax planning is based on the use of legally permitted methods as well as accounting methods and techniques enshrined in legislation and regulations, accounting standards. Tax planning involves taxation optimization in general, development of situational schemes of tax payment optimization, organization of the tax system for timely analysis of the tax consequences of various managerial decisions. Tax payment planning within tax planning enables the companies to more efficiently manage the available resources, increase the amount of working capital and as a result, enhance the opportunities for the company’s development and performance. Tax planning is an integral part in the business establishment, restructuring (reorganization, liquidation, transformation, merger of the company. We will help to organize tax planning of your company in such a way that it will contribute to the prosperity and development of your business. The lawyers of UNITED Law Company trace the changes in legislation and can advise, audit, plan correctly the taxation scheme of your business, reduce penalties and additional tax assessments, appeal against the unlawful actions of the tax authorities.